The Supreme Council of Antiquities announced today that Secretary General Dr. Zahi Hawass has sent an official request that the bust of the famous Queen Nefertiti be returned to Egypt. This request was approved by the Prime Minister of Egypt, Dr. Ahmed Nazif, and Minister of Culture, Farouk Hosni, after four years of research by a legal committee composed of famous legal personnel and Egyptologists. The request letter was send to Dr. Hermann Parzinger, president of the Prussian Cultural Heritage Foundation in Berlin. This foundation is the governing body of all state museums in Germany, including the Neues Museum, where the Nefertiti bust is currently located, accessioned as Inventory No. AM 21300. In addition, a copy of the letter has been given to the Egyptian Ministry of Foreign Affairs Cultural Department to forward on to the Egyptian Ambassador to Germany who will, in turn, send it to Dr. Parzinger. The SCA has sent a third copy of the letter to the German Ambassador to Egypt. On December 6, 1912, Ludwig Borchardt and his team at el-Amarna excavated this bust of Queen Nefertiti in the workshop of the court sculptor, Thutmose. It is clear from all the records that Borchardt recognized immediately the unique nature and artistic quality of this piece, as well as its historical importance. Dr. Hawass said that this request is a natural consequence of Egypt’s long-standing policy of seeking the restitution of all archaeological and historical artifacts that have been taken illicitly out of the country, especially those items that are considered unique. 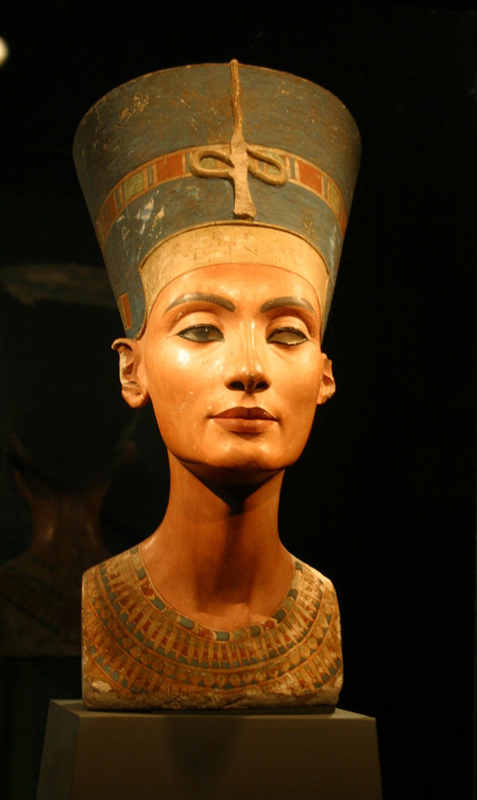 The painted bust of Nefertiti is universally recognized as a unique and irreplaceable artifact. The bust is first on the “Wish List” of five important objects that Egypt hopes to have returned, as announced on April 8th, 2010, at the Conference on International Cooperation for the Protection and Repatriation of Cultural Heritage. After World War II, Egypt made another formal request, this time to the Allied Control Council, who at that time was responsible for art objects in Germany. The Legation of His Majesty the King of Egypt at Prague sent a memorandum, dated April 14, 1946, to the Allied Control requesting the repatriation of the Nefertiti head, which was followed up by an official request from the Egyptian Ambassador to the US Secretary of State, dated February 21, 1947. On March 8, 1947, the Allied Control answered that they did not feel that they had the authority to make this decision, and recommended that the request be made again after a competent German Government had been reestablished. Egypt recognizes, and appreciates, the care and effort undertaken by the Government of Germany to preserve and display the painted limestone bust of Queen Nefertiti. Inspired by the excellent relations between our two countries, the Government of Egypt is confident that the German authorities will assist in facilitating its return. The Government and People of Egypt are eager that this unique treasure be returned to the possession of its rightful owners, the Egyptian People. Dr. Hawass added that the bust of Nefertiti, upon its return, will be exhibited at the Akhenaten Museum in Minya opening in early 2012.